Remember the twenty lacy crepe layers I mentioned before? 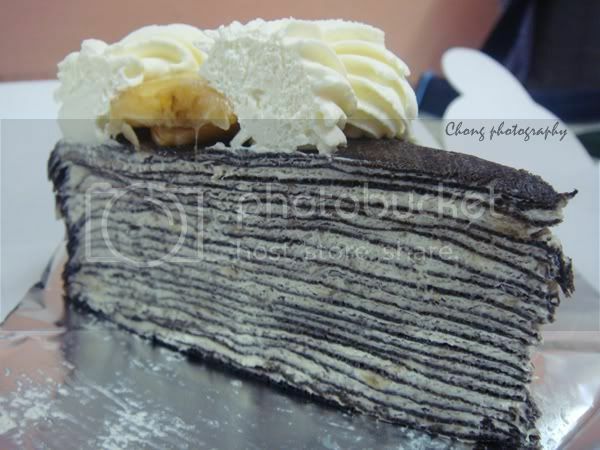 Syndy was out to Malacca just now and brought back some mille crepe from Nadeje, the cozy patisserie cafe, I wish I have chance to go there by my own. Tried something new, chocolate banana flavor, nice one; yet I love the original flavor still. Look beyond the sky now, no sight is more provocative of awe than this starlit night. Hearted.